Home / News / Single Dad Gets Career Development Help from Michigan Works! Michael, a veteran, found himself a single dad to three young children. They were living in Petoskey, but were having a hard time trying to make ends meet. Unable to afford housing in Petoskey, Michael was forced to leave his home and job, moving himself and his three children to Alpena, so that his in-laws could help out. Jobless, Michael found himself in the unfortunate position of living off his in-laws. He needed to find a job and he needed to find it quick. He also had hoped to find a job that he could do from home, so that he wouldn’t have to leave his children or put them in childcare, since they had already been through a lot. Michael was referred to Michigan Works! by DHHS. 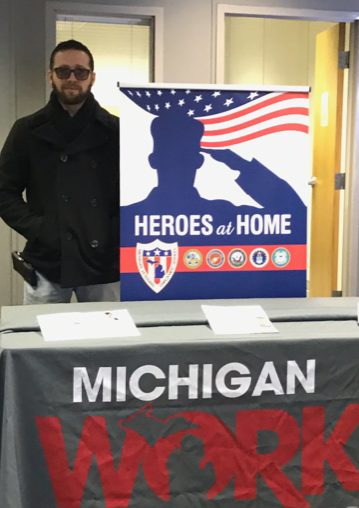 Through various programs (Veterans, PATH, RESEA work-based training), Michigan Works! was able to help enroll Michael in Medcerts and help pay for his Medcerts tuition.